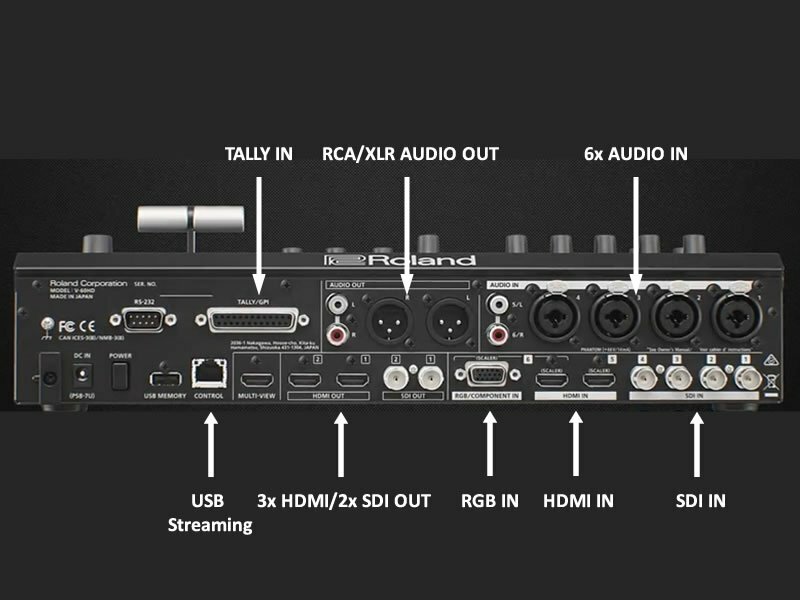 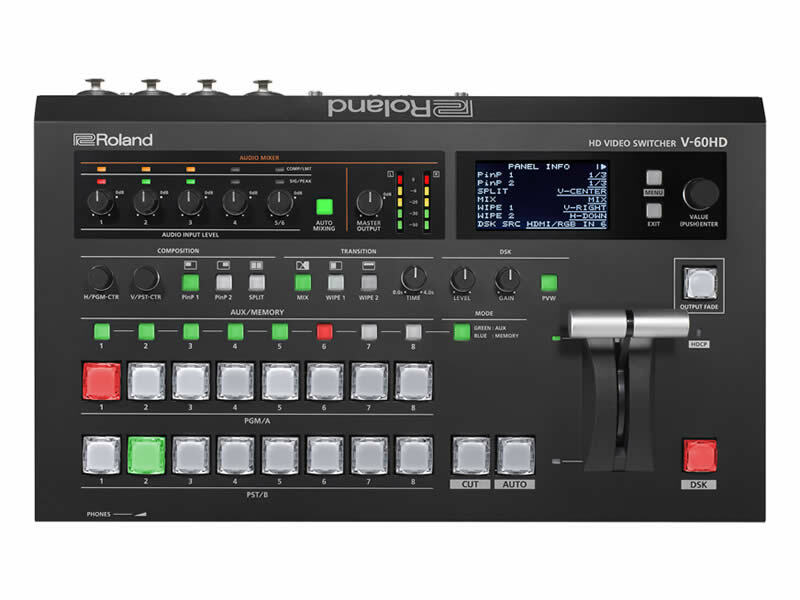 The Roland V-60HD is a compact, integrated 6-channel video switcher and audio mixer, and the latest addition to Roland’s comprehensive line of video production solutions. Its sophisticated feature set is perfectly suited for live event production as well as broadcast, recording and streaming. 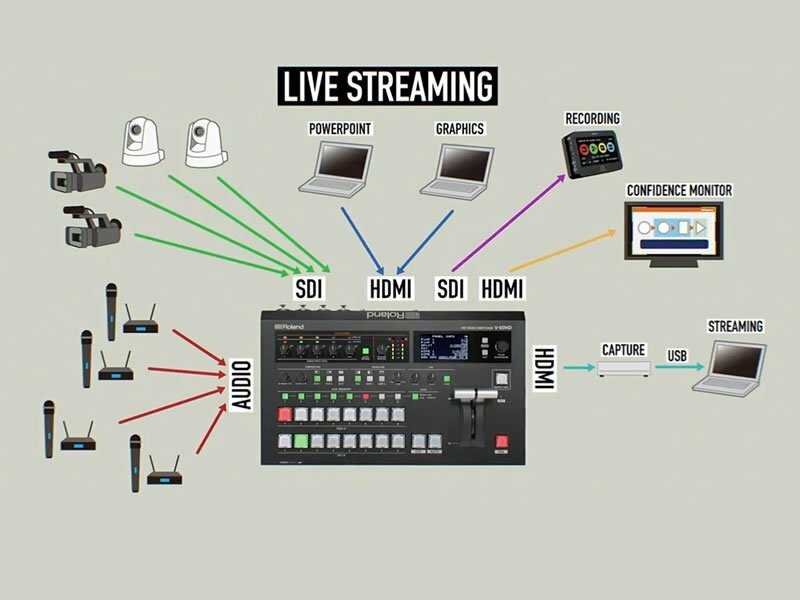 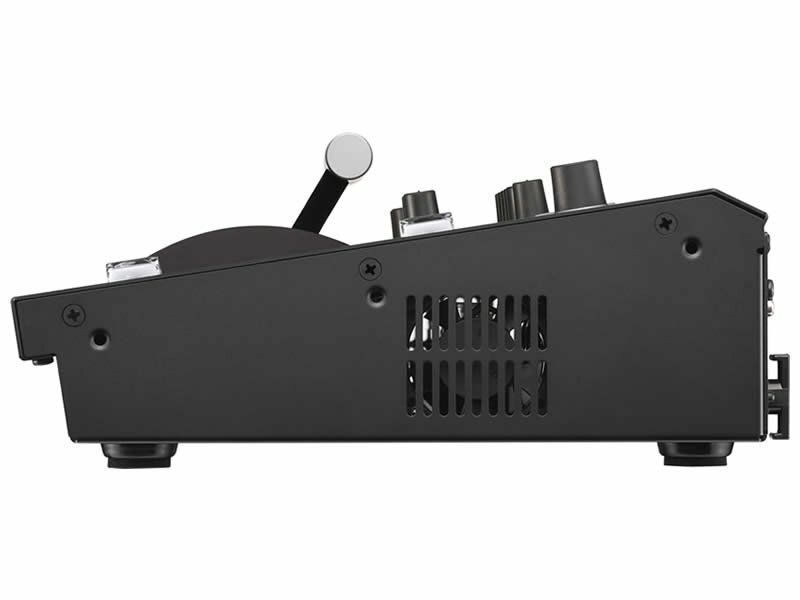 The V-60HD supports SDI camera inputs plus scaled HDMI inputs for data, computer, tablet and other video sources via a variety of video connections, plus a Program and independent AUX bus for confidence, downstage monitor or side screens. 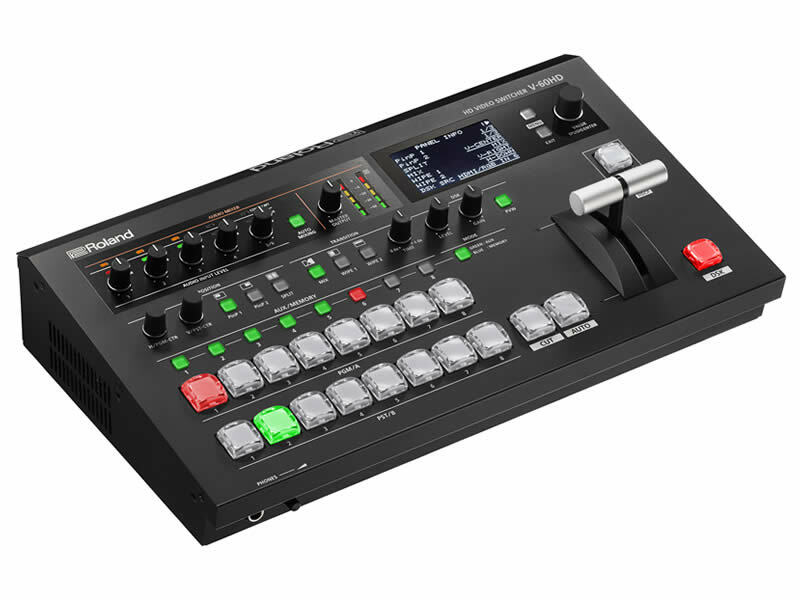 The V-60HD also offers advanced audio functionality including multi-channel embedded audio, XLR/TRS and RCA analog inputs, and multi-channel embedded audio to two SDI outputs, plus comprehensive dynamics and auto-mixing. 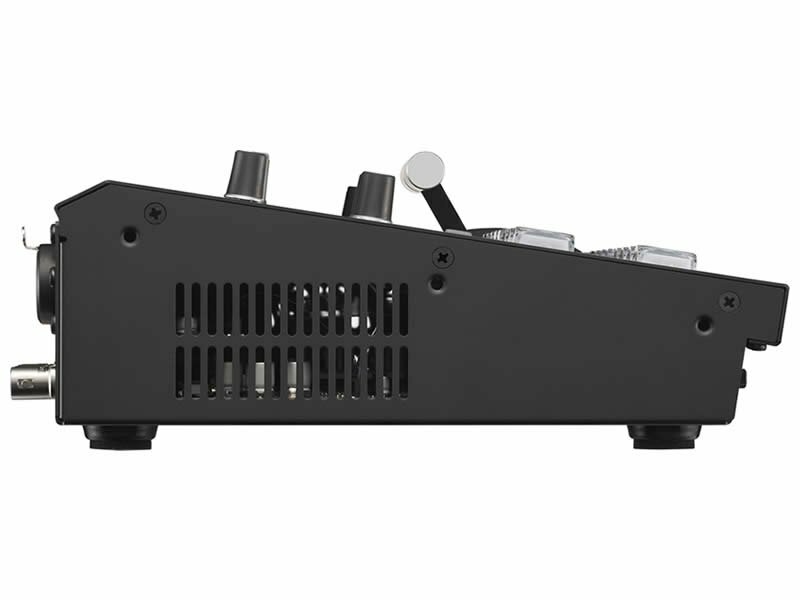 - Composition effects including DSK (Downstream Keyer), picture-in-picture etc.